Vegas gunman planned other attacks? On the night before Stephen Paddock carried out the worst mass shooting in modern U.S. history, he twice called security at the Las Vegas hotel where he was staying to complain about loud music, a law enforcement source told CBS News. The noise was coming from the floor below his suite on the 32nd floor of the Mandalay Bay hotel casino on the Las Vegas Strip, CBS News senior investigative producer Pat Milton reports. Albert Garzon of San Diego told The New York Times that security guards asked him to turn down the country music playing in his suite on the 31st floor at around 1:30 a.m. Sunday, a little over 20 hours before the rampage on a country music festival. When different security guards paid Garzon another visit about his music a half-hour later, he turned it off. A staffer at the hotel also reported that Paddock acted abruptly with them over some other issue, Milton reports. Paddock booked rooms over other music festivals in the months before opening fire on the Route 91 Harvest Music Festival, authorities said. Paddock booked rooms overlooking the Lollapalooza festival in Chicago in August and the Life Is Beautiful show near the Vegas Strip in late September, according to authorities reconstructing his movements. Fenway Park in Boston also came up during the investigation of Paddock, Boston police Lt. Detective Mike McCarthy said Thursday, though he provided no further details. It was not clear if he contemplated massacres at the other sites. The details came to light as investigators struggled to figure out why the 64-year-old high-stakes gambler opened fire on a crowd of 22,000 Sunday night. He killed 58 and injured nearly 500 before taking his own life. Investigators are tracing Paddock's steps and talking to everyone who may have had even the most incidental interaction with him or may have seen him in the days and weeks leading up to his shooting spree, Milton reports. On Thursday night, thousands raised candles and surrounded the widow and two children of Officer Charleston Hartfield, who was killed in the shooting. Hartfield, a 16-year Army veteran who served in Iraq, was known as "Charles," ''Chuck" and "ChuckyHart," but one longtime friend and colleague dubbed him "Captain America." "Charlie Hartfield was the greatest American I have ever known," Sgt. Ryan Fryman told the crowd. His was among the first memorials for the dead, whose identities have now all been released by authorities. The victims killed ranged in ages from 20 to 67. Two of them, 24-year-old Austin Cooper Meyer and 61-year-old Brett Schwanbeck, had not been identified before the Clark County Coroner released a complete list Thursday night. A federal official said authorities are looking into the possibility Paddock planned additional attacks, including a car bombing. The official wasn't authorized to discuss the matter publicly and spoke to The Associated Press on condition of anonymity. Authorities previously disclosed Paddock had 1,600 rounds of ammunition in his car, along with fertilizer that can be used to make explosives and 50 pounds of Tannerite, a substance used in explosive rifle targets. Police announced Thursday that they had found a Hyundai Tucson SUV they had been searching for as part of the probe while executing a search warrant at the home in Reno that Paddock shared with his girlfriend, Marilou Danley. It wasn't immediately clear if the car was found on Thursday or earlier in the week when police searched the home and found several guns and ammunition. Paddock had an arsenal of 23 weapons in his hotel room. A dozen of them included "bump stocks," attachments that can effectively convert semi-automatic rifles into fully automated weapons. In a rare concession on gun control, the National Rifle Association announced its support Thursday for regulating the devices. Will politics get in way of bipartisan talks on bump stock regulations? Danley told investigators she was concerned about Paddock's mental stability, Milton and CBS News' Andres Triay report, citing a law enforcement source. Paddock sent Danley on a trip to her native Philippines before the attack, and she was unaware of his plans and devastated when she learned of the carnage while overseas, she said in a statement. Danley was interviewed by investigators for four hours Wednesday after she returned from the Philippines. Her attorney, Matt Lombard, said after the interview that she had no knowledge of Paddock's plans. Lombard said Danley thought a large amount of money Paddock wired her was to buy a home -- and that he was going to break up with her. Investigators combing through Paddock's background for clues remain stumped as to his motive. The profile developed so far is of a "disturbed and dangerous" man who acquired an arsenal over decades, Sheriff Joseph Lombardo said. But investigators have been frustrated to find that he lived a "secret life," Lombardo said, "much of which will never be fully understood." A former executive casino host at the Atlantis Casino Resort and Spa in Reno said Paddock had a "god complex" and expected quick service without regard to how busy the staff was at the time. "He liked everybody to think that he was the guy," John Weinreich said. "He didn't boast about anything he had or anything. It was just his demeanor. It was like, 'I'm here. Don't cross me. Don't look at me too long.'" The weekend before the massacre, he rented a room through Airbnb at the 21-story Ogden condominiums in downtown Las Vegas and stayed there during a music festival below that included Chance the Rapper, Lorde and Blink-182. 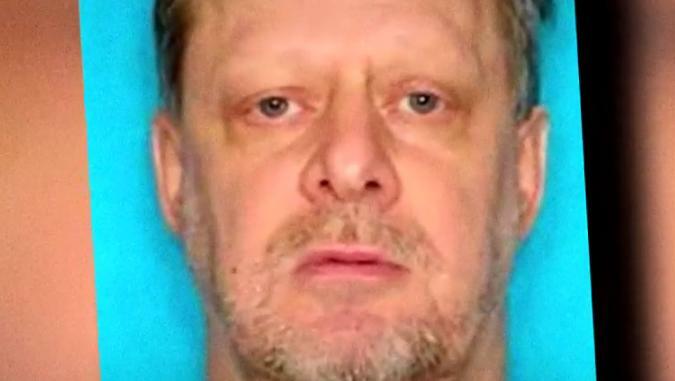 Police were reviewing video shot at the high-rise to check Paddock's movements. His renting the condo was curious because, as a high-roller, he could have easily gotten a free room at one of the casino hotels on the Vegas Strip. In early August, Paddock booked a room at Chicago's 21-story Blackstone Hotel that overlooked the park where the Lollapalooza alternative music festival was being held, though there's no evidence he actually stayed there, a law enforcement official said Thursday. The official was not authorized to discuss the case publicly and spoke on condition of anonymity after being briefed on the investigation. The hotel confirmed a Stephen Paddock made a reservation but said he never checked in. Lollapalooza draws hundreds of thousands of music fans every year to Grant Park.